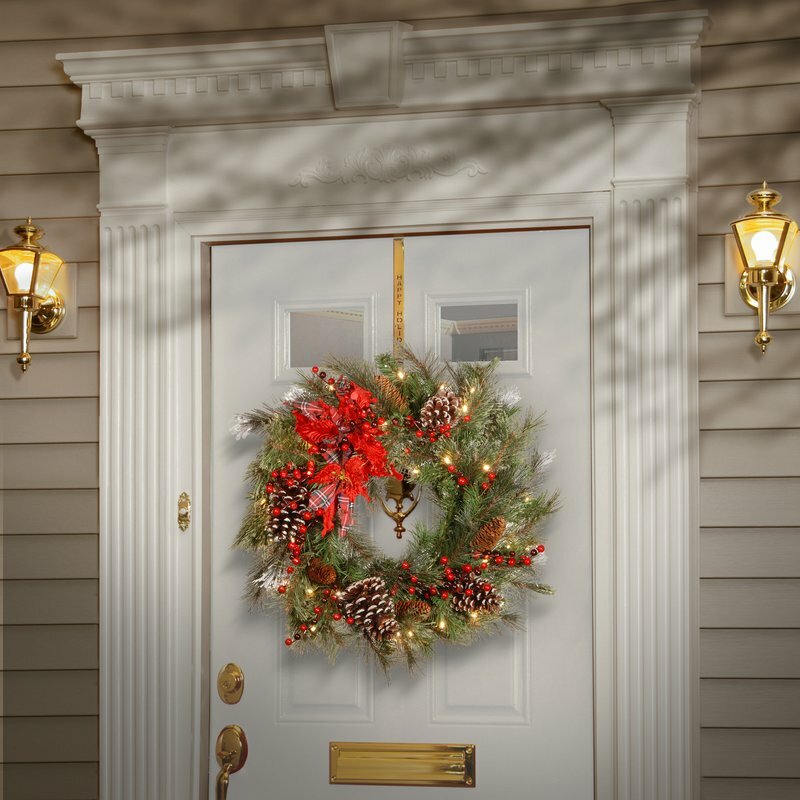 Your Christmas wreath and front door Christmas decorations are the first thing your family and visitors see as they approach your home. 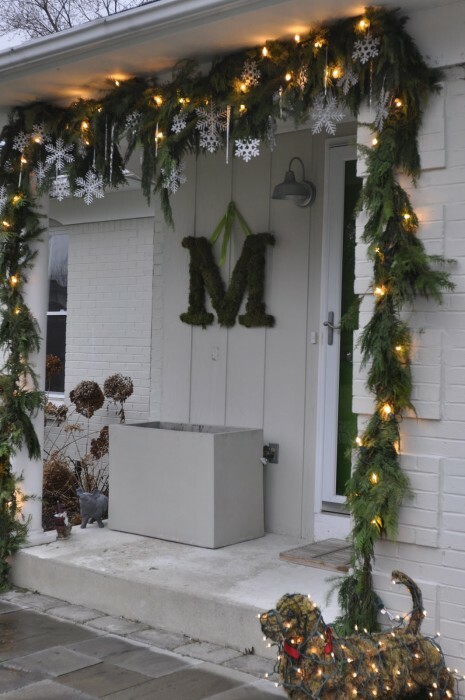 You want them to be festive friendly and curb appeal savvy. You might not need a lot, but what you have should create an enviable entry to your home. 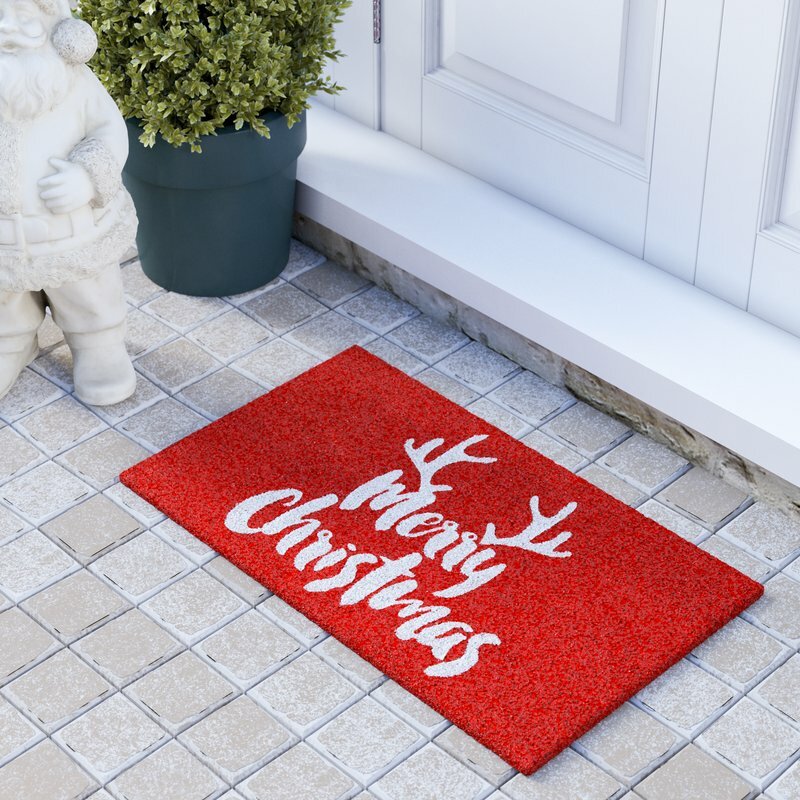 There are 4 main components to your Christmas front door, a wreath, urns, pots or lanterns for height, garlands and a Christmas door mat. A small Christmas wreath looks lost on a big door so when it comes to choosing your front door wreath look for something that is big. 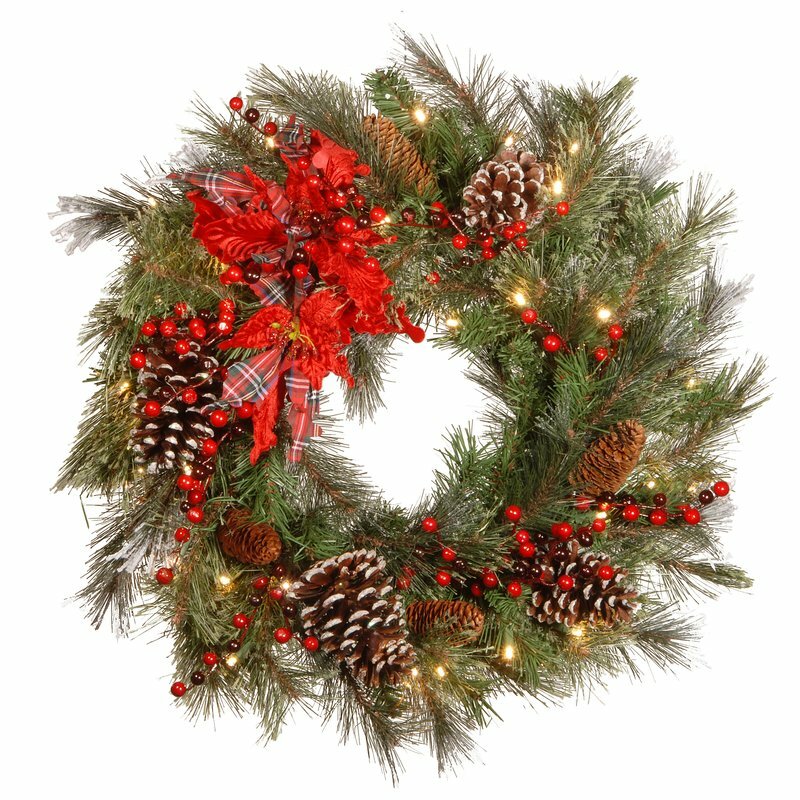 Your guide is a standard 36″ wide front door should definitely have a wreath that is at least 28″ – 30″ diameter to make an impact. 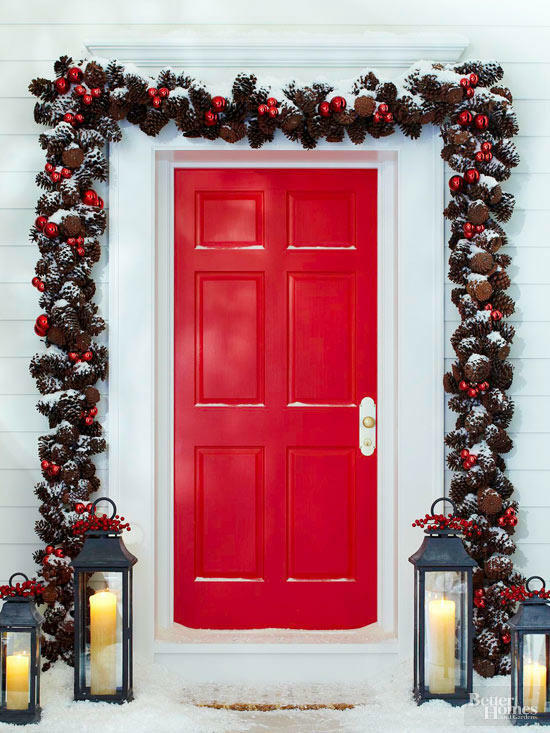 Your wreath should be hung in the upper third portion of the door. The bigger your wreath, the higher you can hang it. 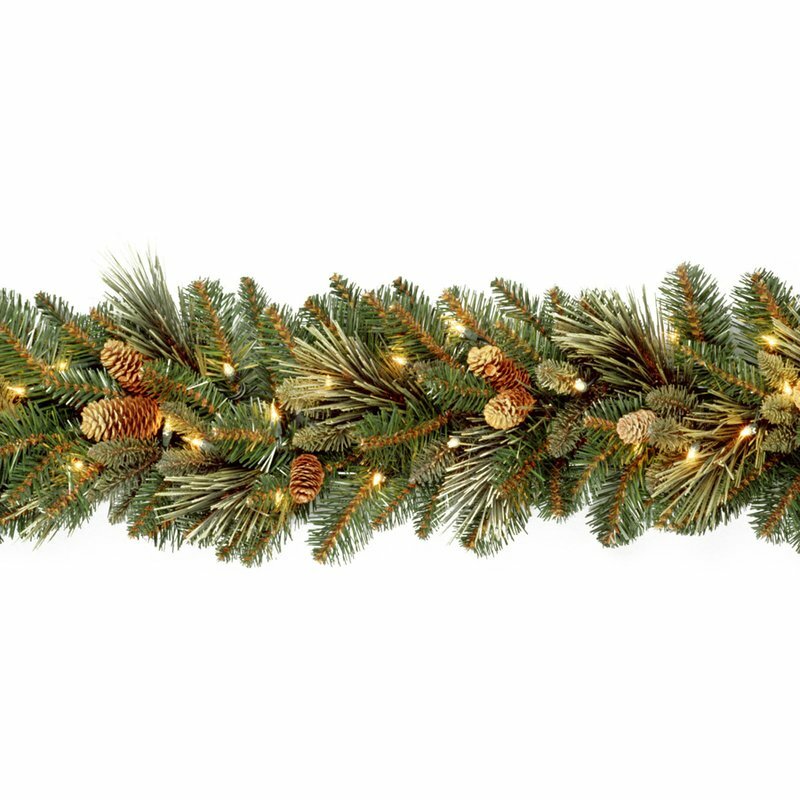 Create a repeated pattern by hanging similar, but smaller sized wreaths in windows and side lights. If you like to change your Christmas decorations each year, choose plain wreaths, and swap out the ornaments and decorative ribbons to keep your look fresh and new. You don't have to have a wreath, you can use star or maybe some Christmas tags. 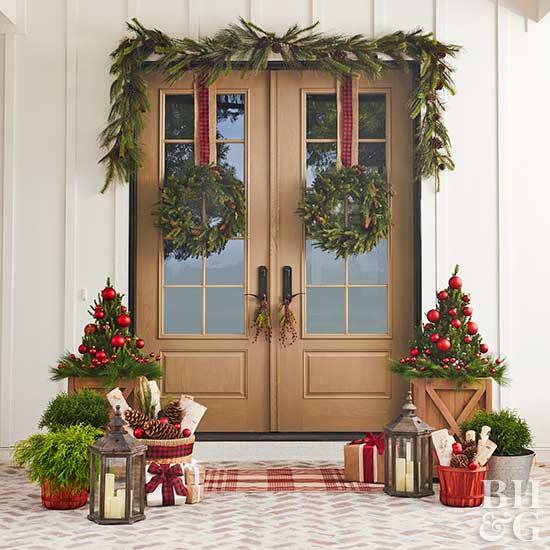 If you have a door that is stunning, and the color of Christmas, like the one below, you can miss this step all together. Instead of a wreath create a wonderful feature like this star. It easy to put together and can be embellished with your family initial, paint it or simply decorate with ornaments and lights. 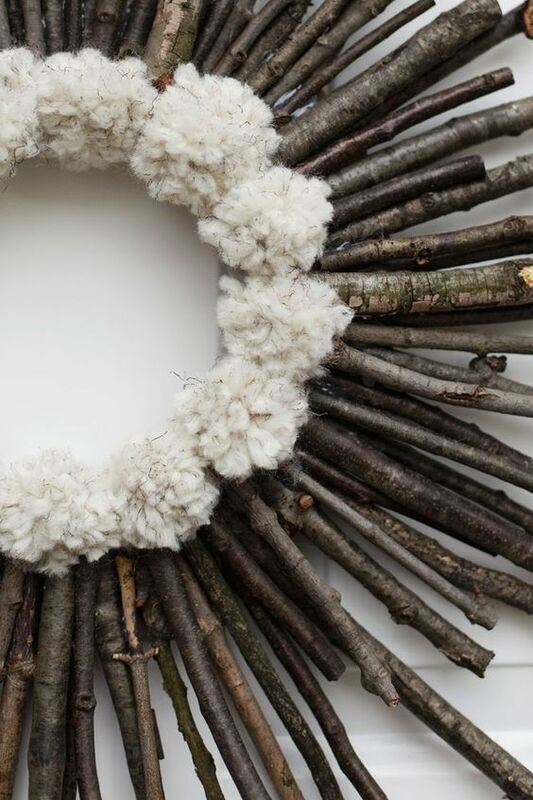 Or create one made of twigs and pom poms, feathers or pine cones. The next element of your design is something to frame either side of your front door entrance and is up to half the height of your door. Use your door knob as a guide and it doesn't have to be symmetrical, although most designs tend to be. Lanterns, pots, plants or urns are perfect to frame the entrance and create a drama and a feature. 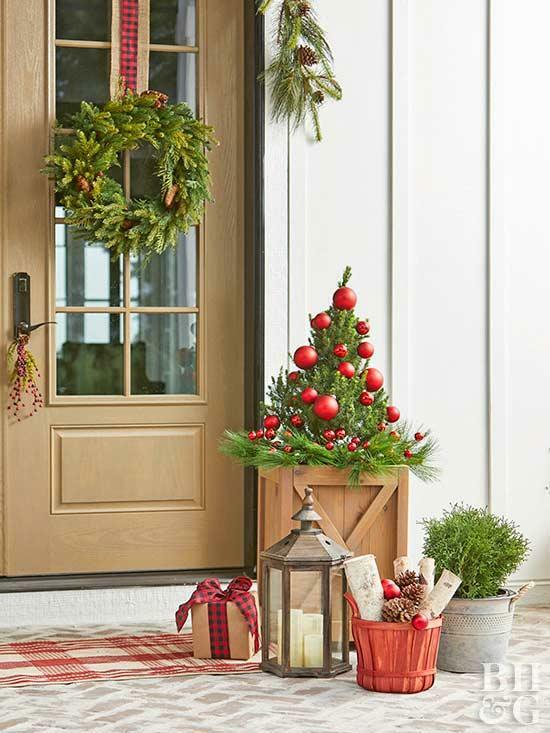 You can spray paint old pots, add branches, pine trees, wrapped gifts, mini-Christmas trees or even statues as long as they are in keeping with your colors and theme. To frame your Christmas wreath and pots, lanterns or urns, use real or faux garlands. This highlights any architectural details, and can be wider than your door frame. 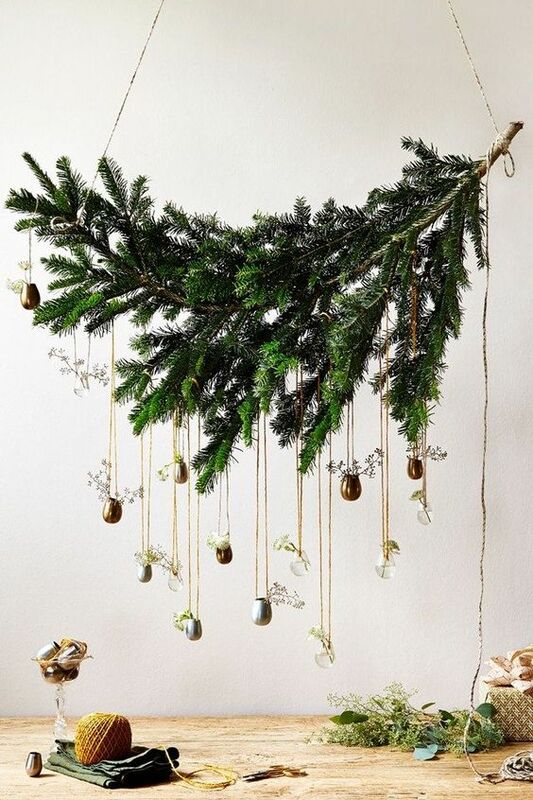 You can drape your garland which is traditional or in straight lines or even create one simple swag for high drama. Extend your garlands to railings if you are looking for high drama. Having two of the same doormat this time of year makes a lot of sense if you want to keep leaves, debris and mud outside, and not spread out around your home. If you're having a lot of guests it won't take long for your mat to get wet, flat, even useless. Buy two at a time to have a clean mat on hand when you need it. If you want to highlight your beautiful Christmas wreath and front door decorations, lights are essential. 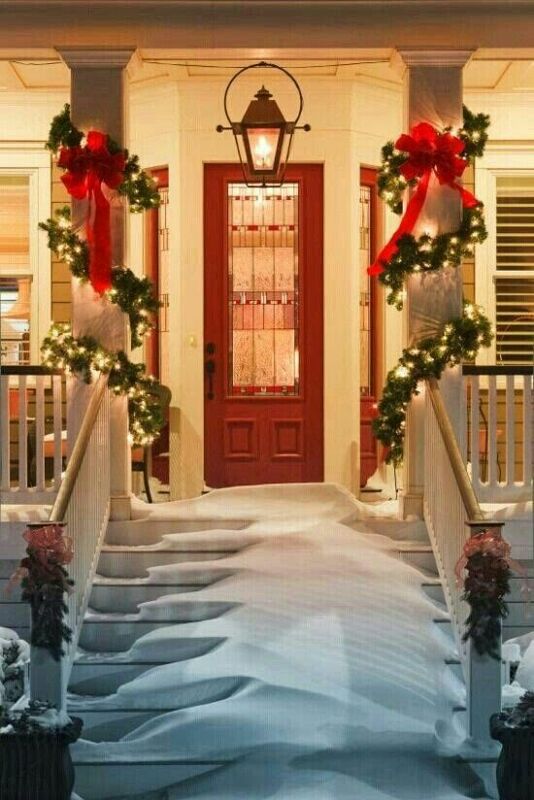 Pre-lit Christmas wreaths, garlands and around your urns or pots will create the festive look you want but if you want to go all out you can add more lights to your front door, porch lights and garage.